What happens if Diablo is relicensed? What happens if it’s not? 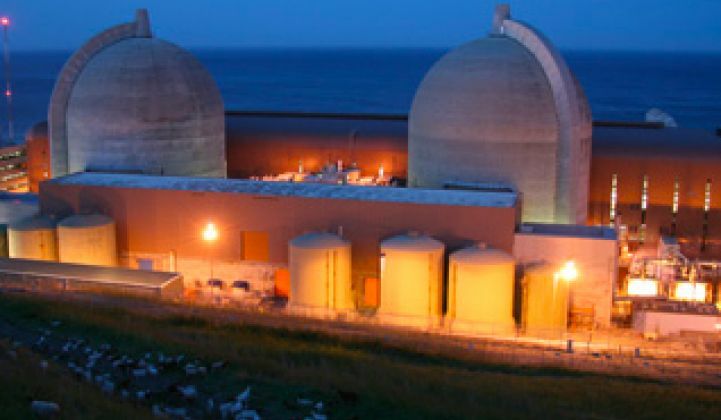 The license renewal process for Diablo Canyon, California's last remaining operational nuclear power plant, has just been restarted by the Nuclear Regulatory Commission (NRC). Diablo Canyon's reactors became operable in 1985 and 1986 and their licenses expire in 2024 and 2025. Plant owner Pacific Gas & Electric (PG&E) started applying to the NRC for a 20-year license extension in 2009, but Japan's Fukushima incident put the extension on hold until new seismic studies for Diablo Canyon were completed and submitted to the NRC and California Public Utilities Commission. In September of last year, the seismic study conducted by PG&E to determine the safety of the Diablo Canyon plant found that the facility was "designed to withstand and perform [its] safety functions during and after a major seismic event." As reported by David Baker in the San Francisco Chronicle, the most recent study concluded that "the plant can withstand the strongest quakes likely to hit the area in the next 10,000 years." 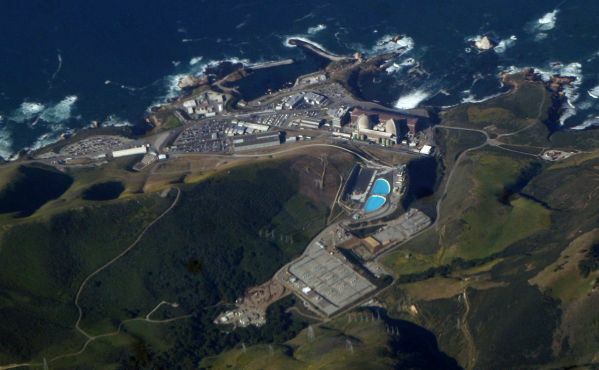 Baker noted, "Diablo Canyon is almost surrounded by fault lines, one of which was only identified in 2008." Nuclear issues typically pit concerned parents and environmentalists against utilities and nuclear advocates. Diablo is no exception. Damon Moglen at Friends of the Earth recently suggested, "More information about the seismic activity near the two aging reactors has made it increasingly clear that Diablo Canyon should never have been built on its current site. Decrepit reactors on an array of active seismic faults are a recipe for disaster." During a discussion on KQED radio, Blair Jones, spokesperson for PG&E, incanted the well-worn mantra, "Safety is always the first priority," calling Diablo "a seismically safe facility." During the same discussion, Daniel Hirsch, lecturer on nuclear policy at UC Santa Cruz, suggested that PG&E is engaged in "the same kind of conduct that brought us San Bruno [a gas line explosion that killed 8 people]." Hirsch also accused the utility of having "too cozy a relationship" with the NRC and the California Public Utilities Commission, saying, "We have a watchdog that's asleep." Baker noted in last week's hearings that the group Mothers for Peace had gone before the NRC's Atomic Safety Licensing Board to challenge the relicensing process itself, claiming the "seismic dangers were too great." Friends of the Earth also went before the Atomic Safety Licensing Board, pleading that Diablo's operating license had been improperly amended with different seismic standards and was no longer in compliance with its license. Friends of the Earth had made this same point in front of the same board to help shut down Southern California's 2,200-megawatt San Onofre Nuclear Generating Station (SONGS) power plant in 2012. The NRC has the final say on the matter, although California's State Water Resources Control Board will soon vote on the cooling requirements for the plant. The California Coastal Commission would also have some input in the decision-making process. PG&E has not yet made a decision about whether to move forward with the relicensing process. Something will have to replace the 2,200 megawatts of the shuttered SONGS plant and the potential loss of 2,200 megawatts from Diablo Canyon in 2025. 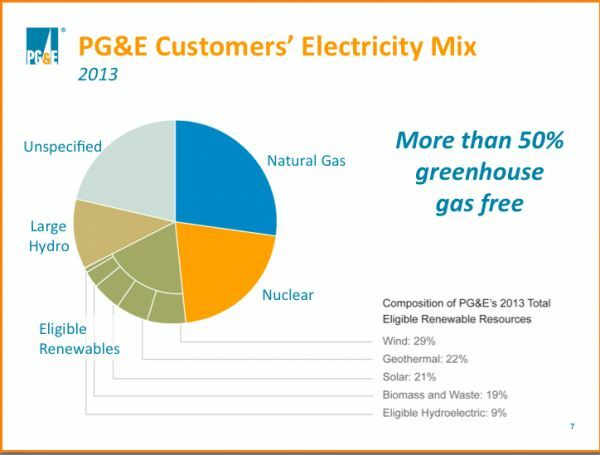 So far, nuclear replacement procurement by the three big California utilities has been a mix of natural gas and "preferred resources" -- with an emphasis on the natural gas. It's not exactly business as usual, but it's no renewables miracle. Gas is cheap, familiar and truly the "preferred" resource. If Diablo doesn't get relicensed, perhaps the photovoltaic or energy storage technology of 2024 will be more suited to replace baseload nuclear than today's silicon and lithium-ion materials. If Diablo does get relicensed, we continue the real-time exploration of how long a nuclear power plant can be safely operated on a cluster of fault lines. Is it 40 years? 60 years? 100 years? The 2010 U.S. population within 10 miles of Diablo Canyon was 26,123. The 2010 U.S. population within 50 miles was 465,521.